“The Church is God’s bakery” – this phrase cropped up within Scripture Union bible study notes – an intriguing beautiful description. It conjures up wonderful imagery; a large glass bay window with an assortment of freshly baked rolls, loaves and baguettes with golden crisp crusts that crackle to the touch. All beautifully displayed in wooden crates alongside trays full of sugar glazed, sweet pastries ready to be wrapped in paper to take away. Just the thought of freshly baked bread can immediately fill your senses – but the actual smell drifting from a bakery as the next batch is carefully removed from the oven gives a warm homely welcoming sense. It also provides a taste of what is to come. 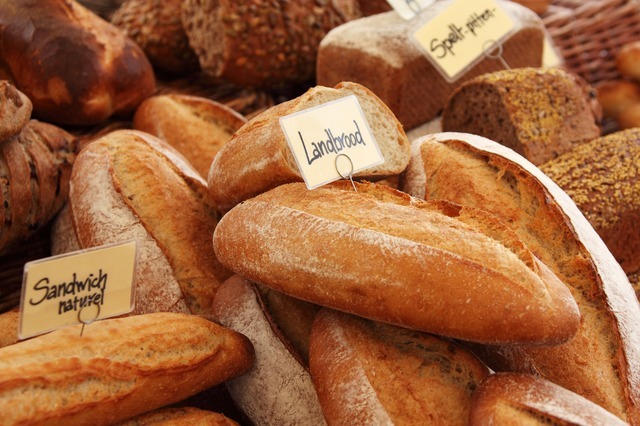 We need fresh bread every week – physically and metaphorically as God’s word and provision, to sustain us through our daily tasks, needs and challenges. We need to consume this ‘bread’ and use it before it goes off, like the unique gifts God freely gives to each of us to share with each other and bring Him glory. A bakery works around the clock from the early morning preparations, nurturing and cultivating the yeast, allowing time for the dough to rise, kneading and baking through to delivering the goods (…and tasting), then onto cleaning before preparing the next batch to start the cycle over again. There are fresh provisions everyday. The line from Our Lord’s Prayer “Give us this day our daily bread” reflects our need to draw close to God everyday, to ask and to receive from Him, to rest assured in the knowledge of His generous provisions and sustainment. On Saturday 15th July we’ll be serving up another type of dough… freshly baked wood-fired pizza!!! These will be served during the evening amidst a selection of team games and challenges at 7.30pm. Book your seat now, £7.50 per head, and make a team on the night or join the fun with a ready made team of 4-6 people. Start practicing your favourite family games ready for the challenge. Book your seat here.